Ten days of goal-focused writing = huge progress towards your goals. I'll guide you through it. Join me for a FREE 10-day Academic Writing Accelerator starting September 18, 2017. Uh, WTF is a Writing Accelerator? It's a free 10-day writing challenge (preceded by a few days of prep) to help you move quickly towards a specific goal (don't worry, I help you figure out what that goal is!). I lead you, and other academic writers, through the process in an online group and through daily emails. All you need to do is SHOW UP and bring your game face. Get on the list for the next Academic Writing Accelerator by adding your name and email address below. 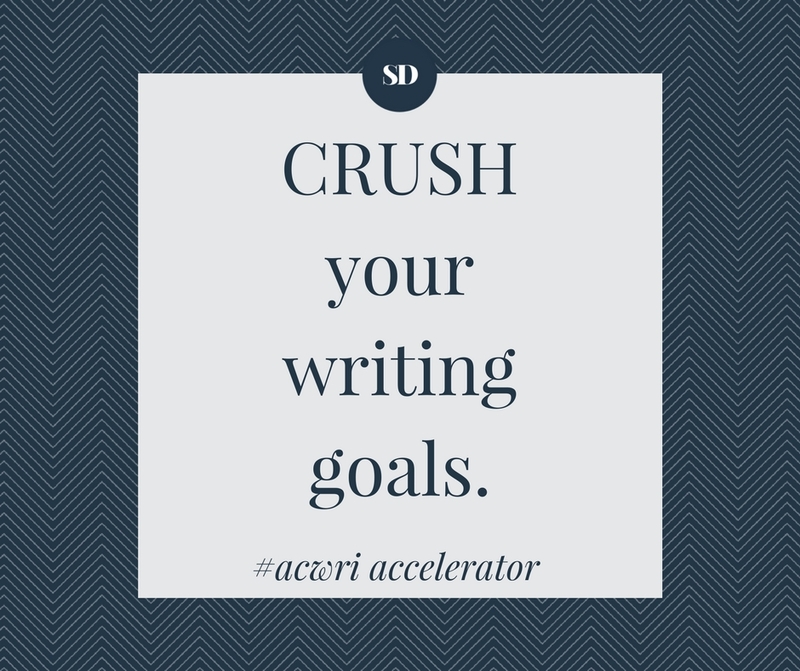 You'll get a weekly email from me with academic writing advice, and (of course) alerts about the upcoming Accelerator.